Attendees will find unprecedented networking opportunities and gain access to expertise, analysis and trends in personalized, competency-based learning. Through thought-provoking sessions and information-sharing, the leaders who attend become equipped to shape the future of education. The symposium includes more than 200 sessions, each with a specific track to guide attendees toward sessions that fit their unique professional learning needs. 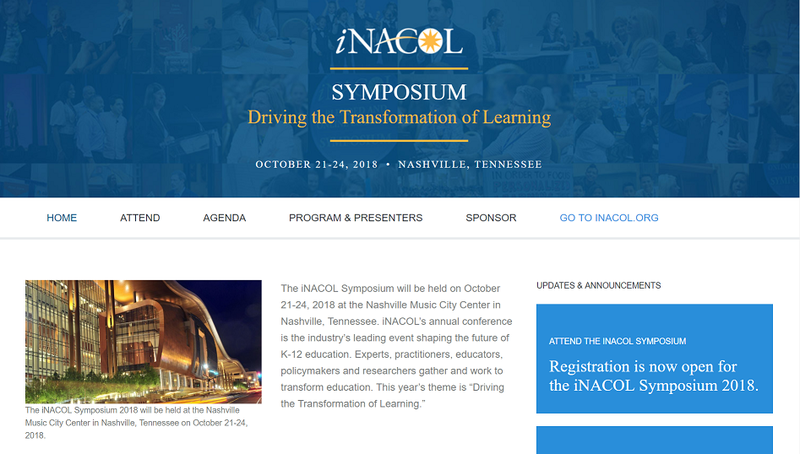 Registration is now open for the iNACOL Symposium 2018.